How does biotech fit into our daily lives in unassuming ways? Appliances, house plants, lighting, furniture, even the bare walls in a house or apartment can play medium for new applications of biotech. The students at CMU will explore the future of interior spaces and the things inside them. These are objects that biotechnologists very often overlook. 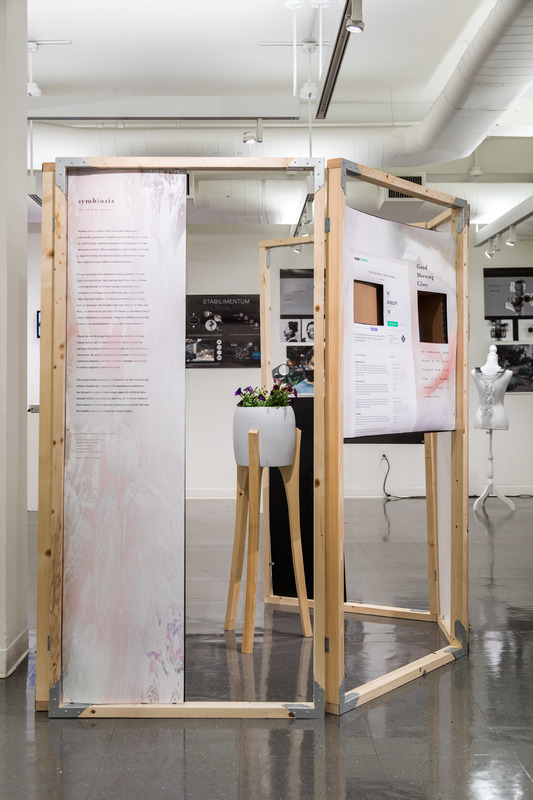 A bioengineered plant that releases caffeine into the air during the day and melatonin at night, Symbiosis is a critique of the way modern technology has influenced our sleep patterns. Ethan Frier is a designer, technologist and future thinker who explores the interaction of the built world, culture and the human experience. He is an adjunct professor at the Carnegie Mellon School of Design. Along with the Biodesign Challenge, he teaches an undergraduate senior level studio course called Play Lab. The class focuses on agile prototyping in novel environments, as well as speculative design and design fiction. A former Artist in Residence at the Mattress Factory in Pittsburgh, he designed and fabricated "Living Things,” an installation consisting of three home environments that actively cultivate spirulina algae. The exhibit explores a future where humans live symbiotically with these microorganisms.